Two weeks ago I left for a weeklong vacation in Alaska, Seattle, and Vancouver. The reason I settled on these destinations had mostly to do with my desire to visit some family, see the Aurora Borealis, and because there was a cheap deal on award tickets in “first class” on Delta. I’ll explain the quotation marks in a minute. 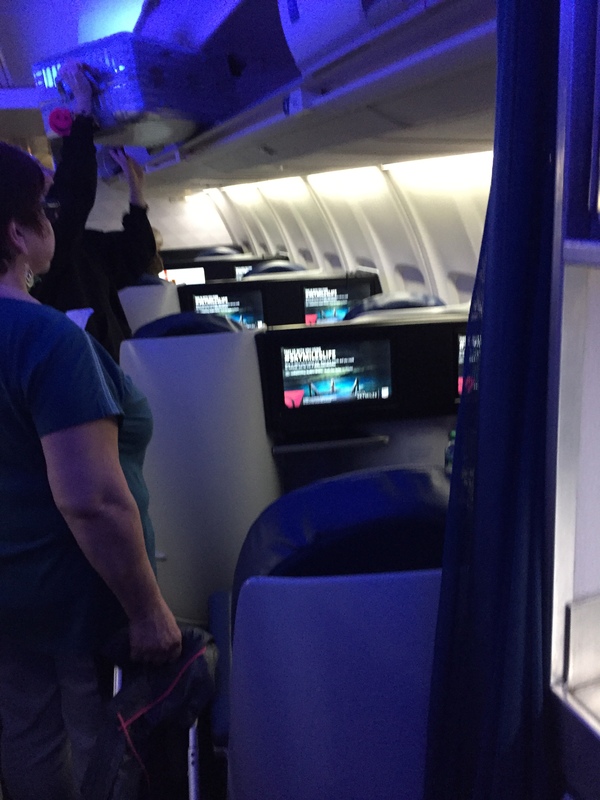 Many folks in the frequent flyer community know that Delta miles are worth less than their competitors because they use what’s called “dynamic pricing.” Essentially, that means they can charge whatever they want for their services. Whereas other companies like American and United have award charts that they stick to, Delta has none. 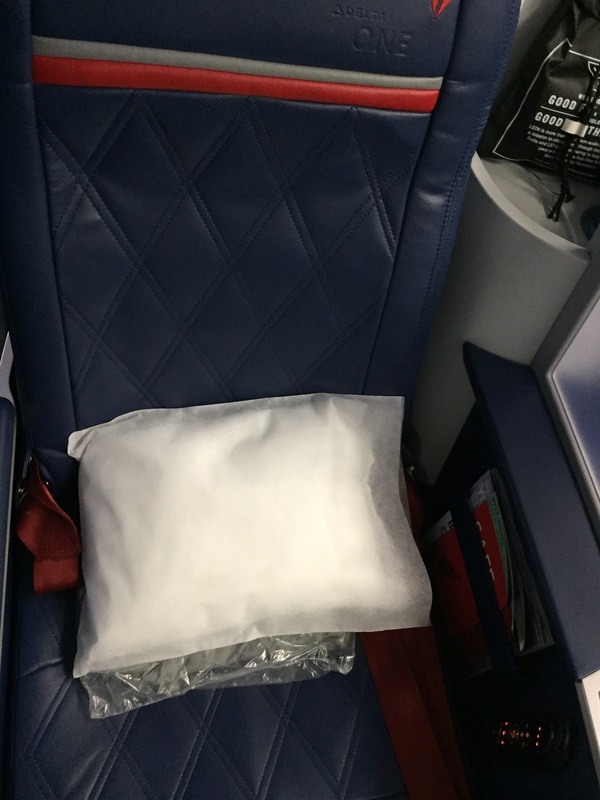 So, when I saw a deal to fly cross-country (through Seattle to Alaska) in first class for only 55,000 Delta miles, I jumped on it. 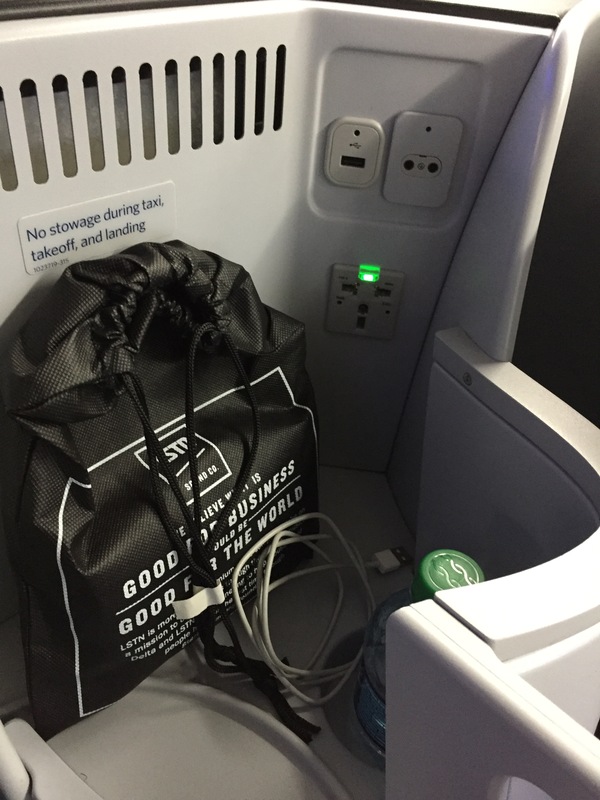 I had speculatively accrued 65,000 on a recent sign-up with the Delta Gold Skymiles American Express card and decided to use them on this trip. While I am only reviewing the flight from JFK to Seattle, know that the Alaska leg was also comfy (although not lie-flat). 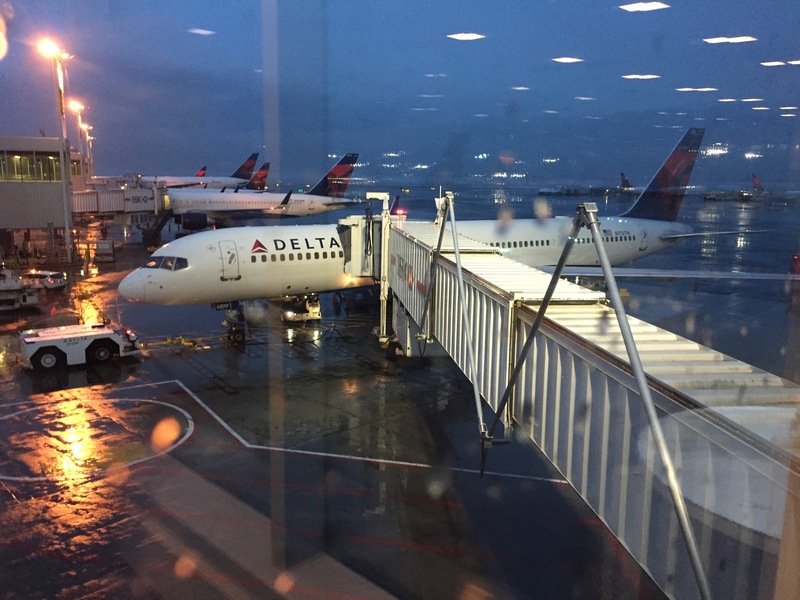 When I arrived at JFK International airport at 6:15am I was hoping check-in would go quickly, security as well, and then I’d sit in a lounge waiting to board. While my class of service made check-in a breeze and my TSA Pre-check status helped me through the lines faster, lounge access was something else entirely. 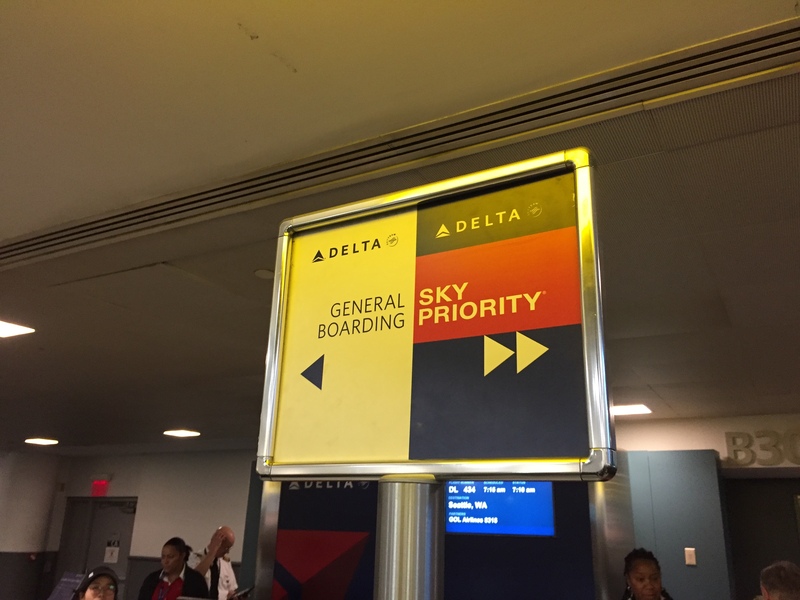 Even though I had purchased a “first class” ticket, I would only be allowed into the Delta SkyClub if a) I was a holder of their Platinum card, or b) I was flying to LAX/SFO. 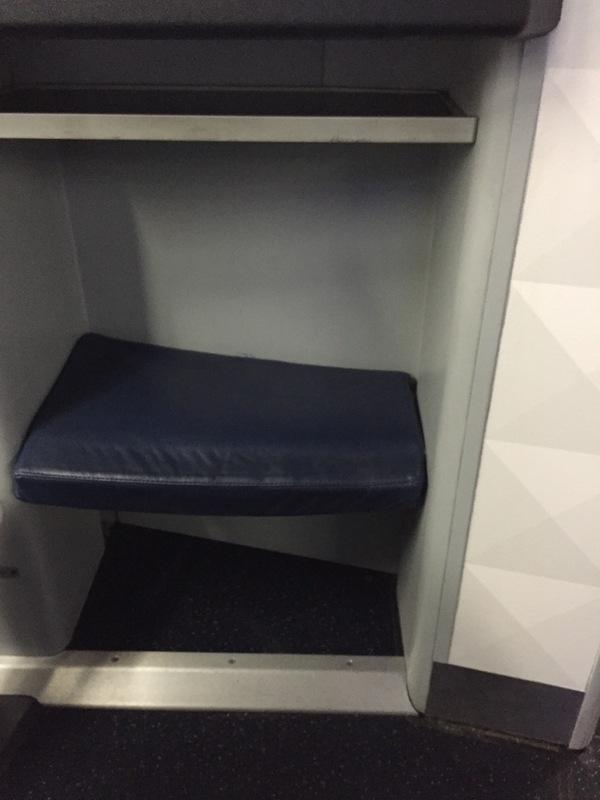 Since I was flying to lowly Seattle I didn’t get my free breakfast. It was sad. 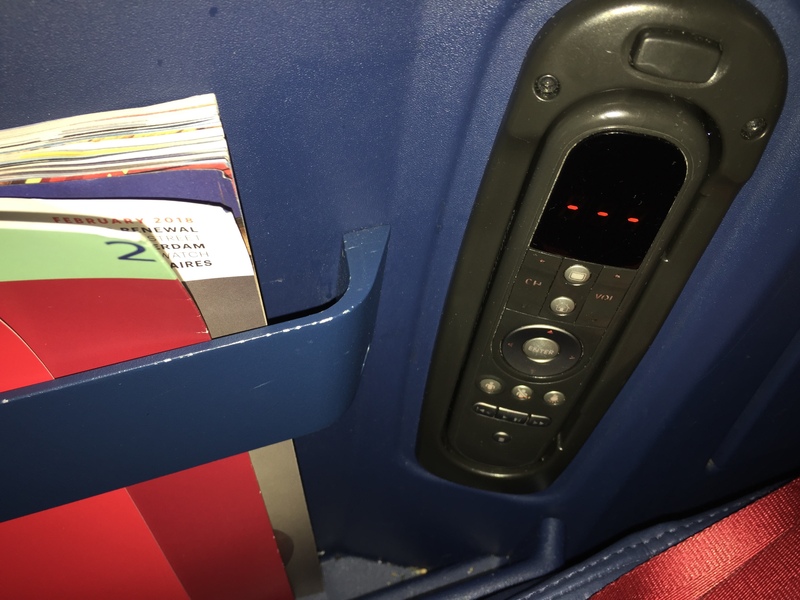 I had done my research in advance on SeatGuru and determined that seat 1B was my best bet to get some sleep in their lie-flat cabin of the Boeing 757 I was taking that morning. 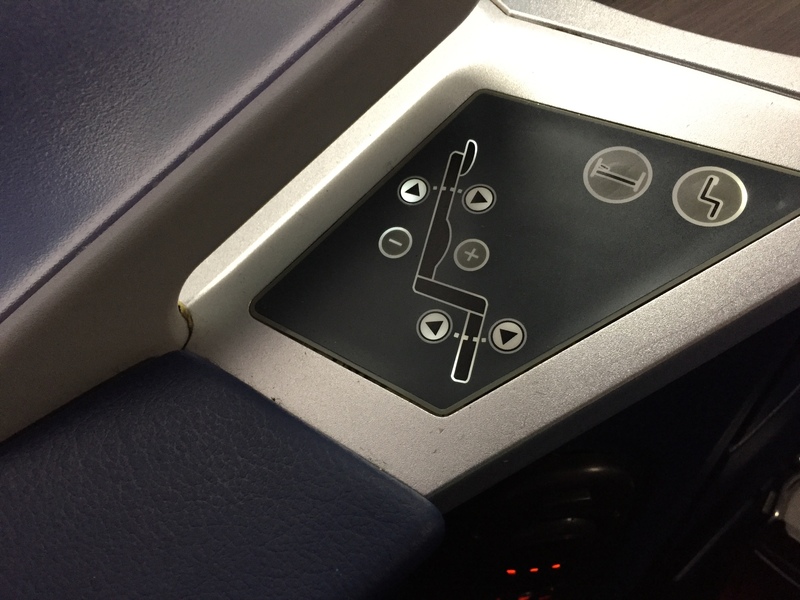 Apparently, according to various reviews, all except the front row of seats have very little space for your feet, leaving your feeling cramped the entire time you are lying down. Because I was in the front row, there was none of that limitation. 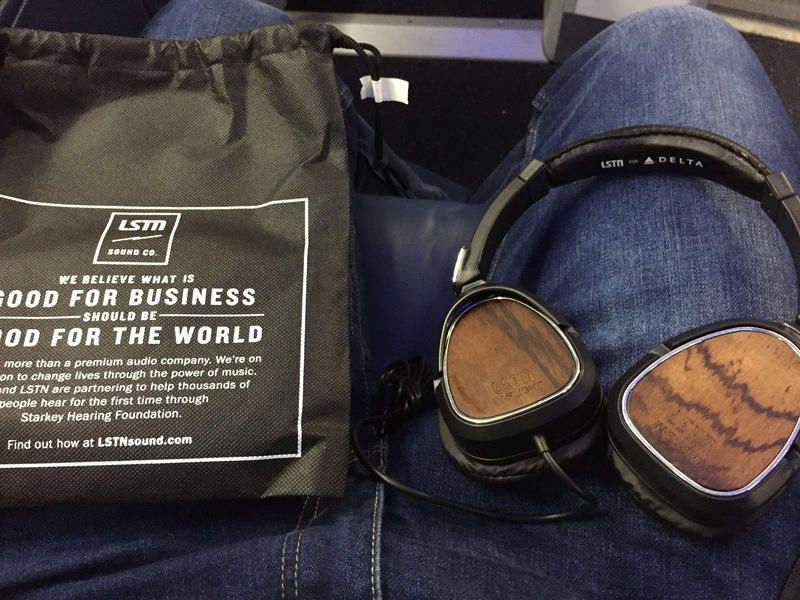 I boarded the plane first and found a comfortable seat with a small pillow and blanket as well as the noise-cancelling (not really) headphones I would use to watch a movie later in the flight. 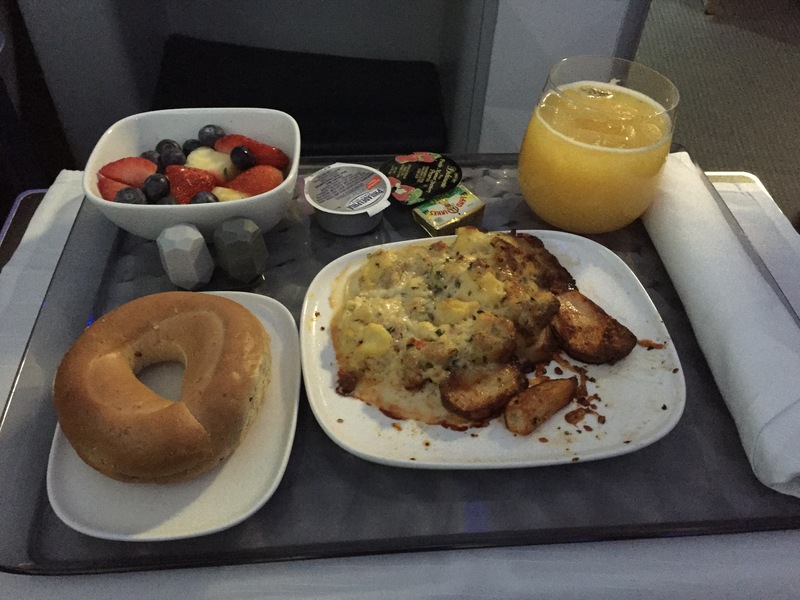 I was given some pretty tasty breakfast of eggs and potatoes as well as some drinks and snacks. At any time I could have gotten up to get some extra fruit, beverage, chips, or cookies. It was great to have those options. 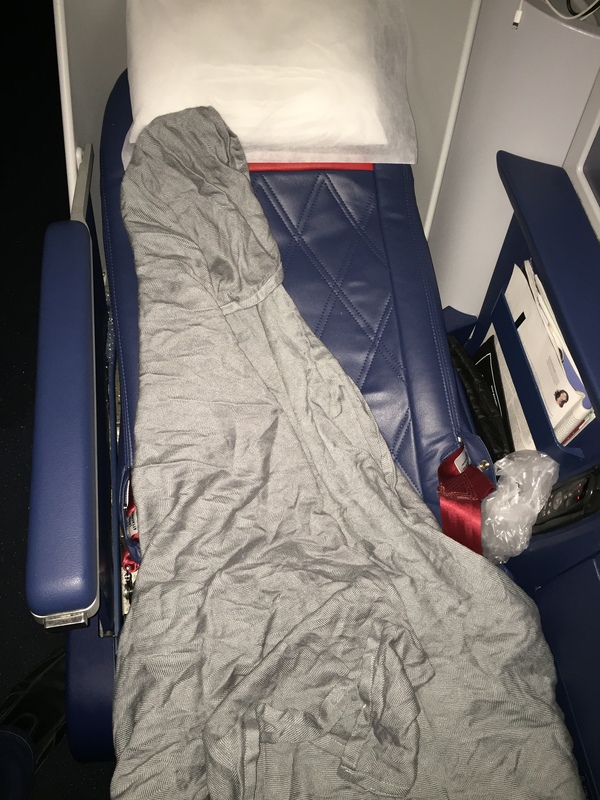 I did also get some sleep on the plane, despite the fact that there was no mattress pad. The chair leaned back to become lie-flat and the extra space for my feet was definitely necessary (they were pretty much upright and against the wall). I slept for maybe 3 hours of the flight and finished by reading a book that I was enjoying. All-in-all, it was a great flight.